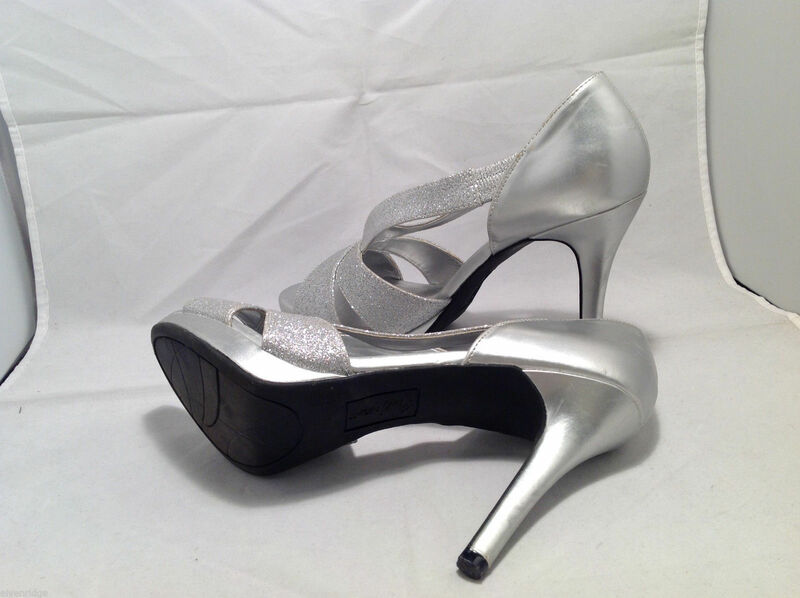 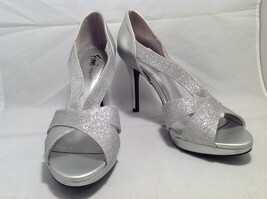 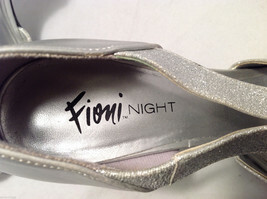 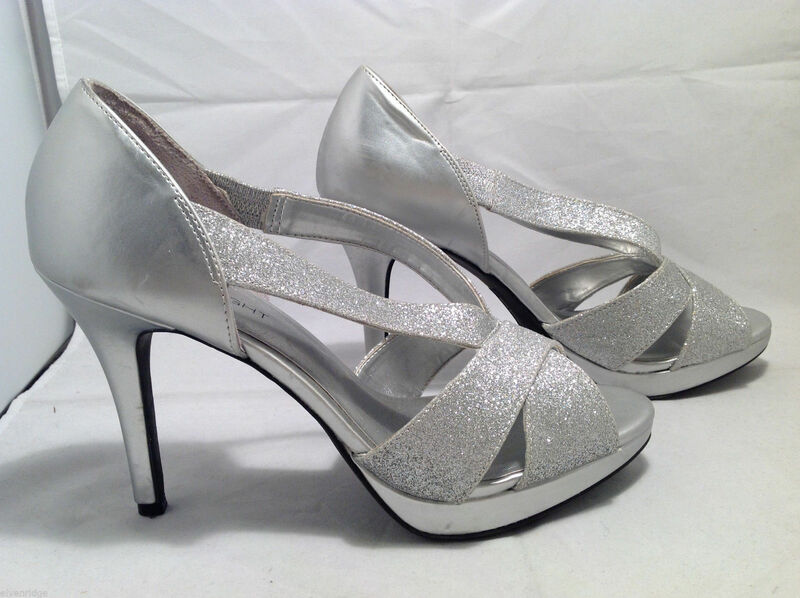 FIONI Night Women's Silver Sparkle High Heels Open Toe Pumps Sandals Size 8.5-9. Size not indicated, approx. 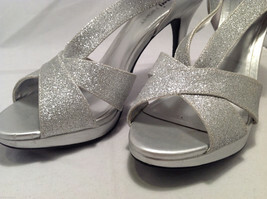 guess 8.5-9 (see measurements). 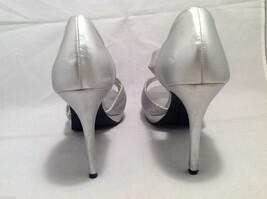 Man made upper, elastic support by the ankle area.